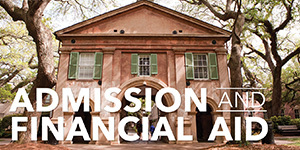 The President’s Commission on Diversity, Access, Equity, and Inclusion will act as a catalyst and an advocate for furthering The College of Charleston’s goal of achieving “Inclusive Academic and Institutional Excellence” within a campus climate and community that is diverse, inclusive, inviting, welcoming, vibrant, and supportive of social justice for all. Offer recommendations for policies, practices, and programs aimed at addressing religious diversity at CofC. Periodically assess the College of Charleston’s institutional diversity initiatives and other efforts for effectiveness and recommend best practices for achieving success. Develop a long-term Institutional Diversity Strategic Plan that will serve as a blue print for implementing the institutional diversity strategies outlined in the College of Charleston’s STRATEGIC PLAN. Monitor the effectiveness of any proposed policies and initiatives upon implementation and recommend strategies for continuous improvement. The Officers of the Commission shall consist of (two) Co-Chairs.The Co-Chairs are appointed by the College President. The Associate Vice President and Chief Diversity Officer of the College shall serve as a permanent Co-Chair of the Commission. The Co-Chairs shall preside over meetings of the Commission and shall appoint task-committees as necessary for the function of the Commission. The non-permanent Co-Chair shall be a member of the College Faculty and shall serve a two-year term, and can be reappointed for one additional term. A. The Commission shall consist of up to 30 internal members of the College appointed by the College President. B. 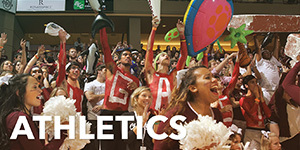 Members are selected from CofC administrators, faculty, staff, and students.C. 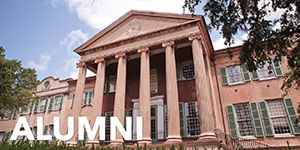 Membership on the Commission is limited to current employees and students of the College of Charleston. 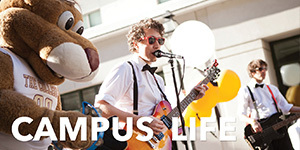 Students must be currently enrolled, full-time, and in good academic standing with the College. 1. Preside at all meetings of the Commission. In the absence of one of the Co-Chairs, the other Co-Chair shall assume the responsibilities of overseeing the activities of the Commission. 2. Prepare a written annual report for the College President and his/her Cabinet, the Board of Trustees and present same to the College Community. 3. Serve as Liaisons to the President and his/her Cabinet. 1. Serve on Task-Committees of the Commission and, as designated, serve as officers of such committees. Task-Committee Chairs shall be responsible for coordinating meetings, reporting committee activities, and disseminating minutes/information to the Commission membership. 2. Actively participate in all Commission activities to ensure the timely achievement of its goals.3. Contribute to the overall health and success of the Commission. A. Appointments of members to the Commission are made by the College President, upon the final recommendation of the Associate Vice President and Chief Diversity Officer (AVP/CDO). B. Each year, the AVP/CDO, will solicit nominations from the various constituents of the College, carefully review all nominations, and verify nominees’ willingness and availability to serve. C. The AVP/CDO will review his initial recommendations with the Senior Vice President for Legal Affairs before making his final recommendations to the President of the College. D. Nominees for membership shall come from the College community, which includes College administrators, faculty, staff, and students. Individuals nominated to the Commission must have an interest in furthering the goals and accomplishing the work of the Commission and must be available for meetings. E. To ensure continuity, the members of the Commission shall be appointed for two year terms, with half of the Commission being appointed each year. One half of initial appointments shall be for one year. F. In April of each year, the AVP/CDO will submit a slate of nominees for membership on the Commission to the President for approval. The appointment of members of the Task-Committees shall be the responsibility of the Co-Chairs. The Co-Chairs shall appoint the conveners of Task-Committees’ first meeting each Fall semester. Thereafter, each Task-Committee shall be responsible for electing its Chair. Periodically assess the College’s efforts toward the recruitment, enrollment, and retention of *minority (i.e., *AALANA groups) and international students. Recommend effective strategies for significantly increasing the numbers or percentages of students from the aforementioned groups who are recruited, retained, and graduated yearly. Monitor progress and periodically recommend strategies for meaningful and measurable continuous improvement. Periodically assess the College’s efforts toward the recruitment, retention, professional advancement of, and equal access for all CofC faculty, with special focus on minority (AALANA) faculty and those from other traditionally underrepresented groups and disadvantaged groups, including, but are not limited to women, persons with disabilities, persons of different religious beliefs, and members of the LGBTs. the extent to which the College policies and practices foster fairness, equity, and justice in all matters affecting the lives of all faculty, especially minority faculty and those from all traditionally underrepresented groups and disadvantaged groups. Recommend effective strategies for advancing an all-inclusive diversity at the College through sustained, concrete, and measurable faculty recruitment, retention, and career advancement efforts, with special focus on minority faculty and those from all traditionally underrepresented groups and disadvantaged groups. Periodically assess the College’s efforts toward the recruitment, retention, professional advancement of, and equal access for all CofC staff, with special focus on minority (AALANA) faculty and those from other traditionally underrepresented groups and disadvantaged groups, including, but are not limited to women, persons with disabilities, persons of different religious beliefs, and members of the LGBTs. the extent to which the College policies and practices foster fairness, equity, and justice in all matters affecting the lives of all staff, especially minority staff and those from all traditionally underrepresented groups and disadvantaged groups. Recommend effective strategies for advancing an all-inclusive diversity at the College through sustained, concrete, and measurable staff recruitment, retention, and career advancement efforts. 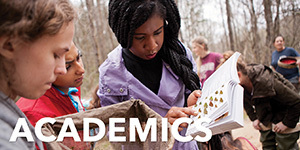 Periodically assess the status of institutional diversity climate—including classroom, residence hall, and organizational climates—at the College. Determine the extent to which the events, messages, symbols, values, policies, and other core elements of the College's organizational culture and traditions, make the campus community an inviting, welcoming, supportive, inclusive, and safe environment for all students, faculty, and staff—especially for minorities and other members of the CofC community from traditionally underrepresented groups and disadvantaged groups, including, but are not limited to women, persons with disabilities, persons of different religious beliefs, and members of the LGBTs. Recommend effective strategies for meaningful and measurable continuous improvement. Periodically assess the relationships between the College and its immediate minority (AALANA) communities as an “urban” or “metropolitan” university. Determine the extent to which the College’s institutional policies, practices, and overall organizational culture and traditions promote positive relationship and encourage intentional partnership with its minority communities. Identify key barriers to achieving positive relationship between the College and its aforementioned communities, and recommend effective strategies for meaningful and measureable continuous improvement. Periodically assess the overall status, acceptance, and inclusion of faculty, staff, and students of all genders and sexual identities, and document findings. 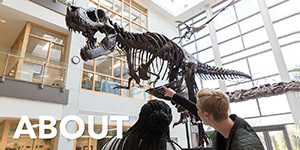 Determine needs and concerns on campus that specifically related to gender, with attention to women and LGBTQQAI faculty, staff, and students. Place special emphasis on such issues as sexism and homophobia; gender-based discrimination; access; equity; educational, scholarly, and professional advancement; work-life balance; and leadership opportunities. Recommend effective strategies – including policies and practices – for creating and sustaining a safe and welcoming working, learning, and living environment that is inclusive and accepting of faculty, staff, and students of all genders and sexual identities. A staff from the Office of Institutional Diversity shall serve as the Executive Administrative Support Staff (EASS) for the Commission. The EASS is a non-voting member and shall provide full administrative assistance to the Commission. A. Appointment to the Commission is for a two-year period, with the term to begin on August 1. B. If a member leaves the Commission before the end of his or her term, an individual may be appointed for the remainder of the term at the discretion of the College President, with the advice of the Associate Vice President/Chief Diversity Office and the Commission Co-Chairs. C. If a member leaves the Commission for a temporary period during his or her term, an individual may be recommended to the President for appointment for the duration of that temporary period at the discretion of the Co-Chairs, with the advice of the Commission membership. A. Individuals may serve two consecutive terms at the discretion of the College President. B. Individuals who serve one term may sit out one term and return for another term. C. Individuals replacing a member for the remainder of a term may serve two consecutive terms following the remainder term. The Commission shall hold meetings at times and places arranged by the Co-Chairs, usually monthly. The Co-Chairs shall request and convene special meetings as dictated by circumstances. Special Commission meetings to consider urgent business may be called by any of the Co-Chairs at any time with the provision of reasonable notice to all Commission members. A schedule of meeting times and dates for the year shall be provided to all members of the Commission by the first meeting of the year in August. An agenda will be circulated to Commission members at least five (5) business days in advance of each meeting. Meetings shall be conducted by the Co-Chairs or one of the Co-Chairs in the absence of the other. Minutes of each meeting will be recorded and circulated to all Commission members within a reasonable period of time following the meeting by the EASS. Resolutions and other matters requiring a vote of the Commission shall be decided by a majority vote of Commission members present, provided that the quorum requirement is met. Commission members shall attend all regular meetings as well as special or called meetings. Commission members are asked to notify the Executive Administrative Support Staff (EASS) of their planned absences before the Commission meeting to be missed. All meeting activities shall be conducted with civility and mutual respect at all times. Personal attacks on fellow-Commissioners shall not be allowed by the Commission. Voluntary Resignation: A Commission member may resign from membership on the Commission at any time by giving notice of resignation in writing addressed to the Co-Chairs or by presenting written resignation in person at a Commission meeting. Each member shall have one vote. The Executive Administrative Support Staff shall have no votes. At a regular or special Commission meeting, two-thirds of the membership shall constitute a quorum for the transaction of business. When a quorum is not present, meetings may proceed for the limited purpose of discussing agenda items, but no votes may be taken. A. A simple majority of present members is required for all Commission decisions, except bylaw changes when a super majority of 2/3rds of all members is required. B. When a decision is needed in less than 24 hours, the Co-Chairs or Co-Chair shall have the authority to render a decision and will report to the Commission at the next meeting. These bylaws may be amended at a regular meeting of the Commission provided that the membership has been appraised of the proposed changes at least two weeks prior to the meeting. Approval requires a super majority of 2/3rds of all members of the voting membership.